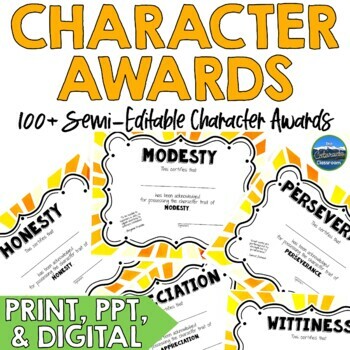 These End of the Year Character Awards are the perfect way to honor your students at the end of a great school year. 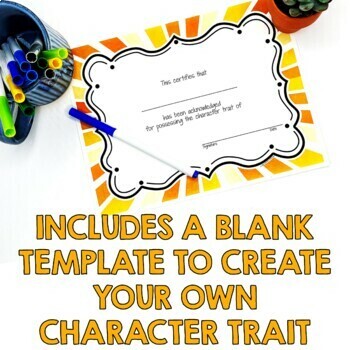 Get 100 character awards that either come ready to print or in an editable format. 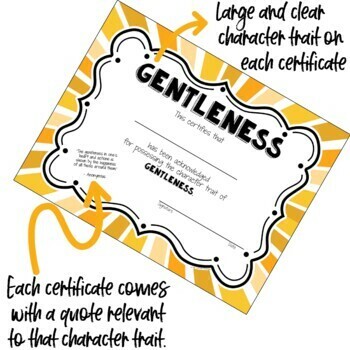 Each certificate comes with a quotation that fits the character trait and speaks to the importance of that trait in our world. You also receive an awards planning sheet to allow you to plan out all the awards ahead of time to ensure there are no duplicates. In this zipped file you get 1 PDF file and 1 PowerPoint file. 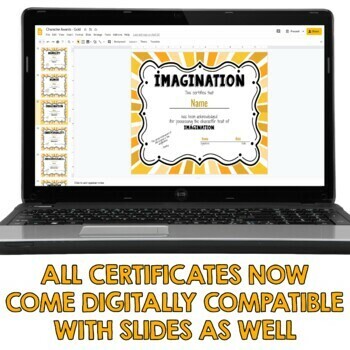 Please review the preview file to understand how these certificates are editable.